Durable and long-lasting, this breathable moisture-wicking rashguard keeps you cool and dry while training. 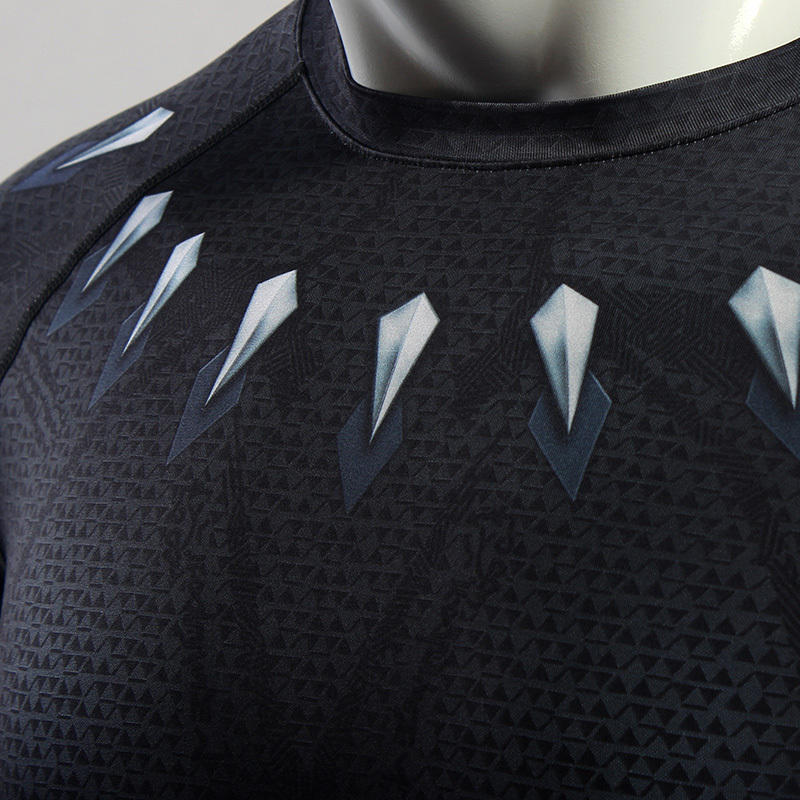 The Premium detail in our Black Panther Metallic Rashguard (SS) is simply jaw dropping! Note: These run a size small. If you normally wear a Medium, we would recommend ordering a Large.